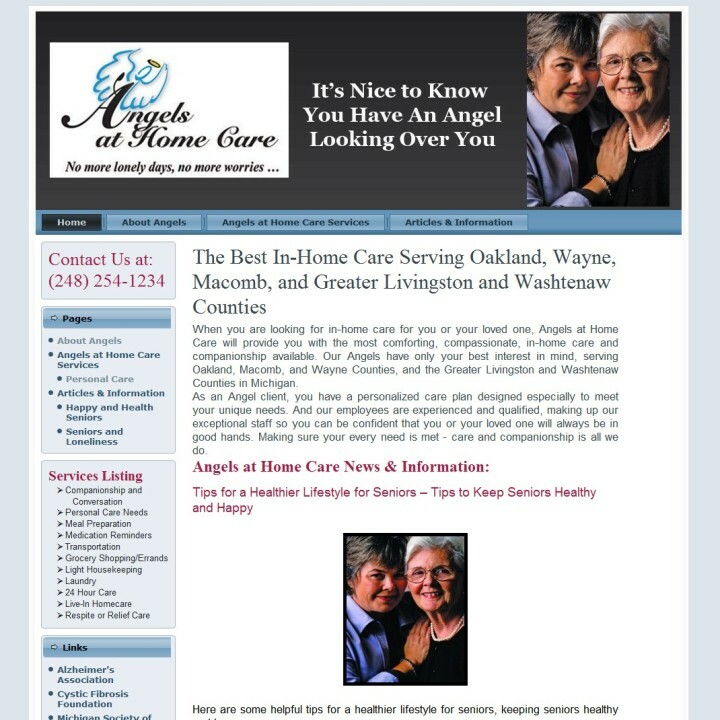 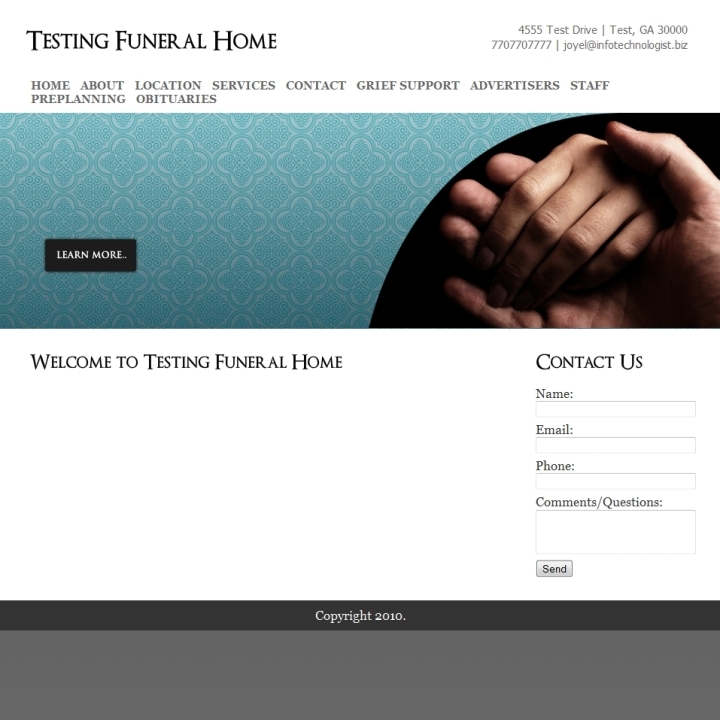 The site has a place for Funeral Homes to list their businesses into the site. 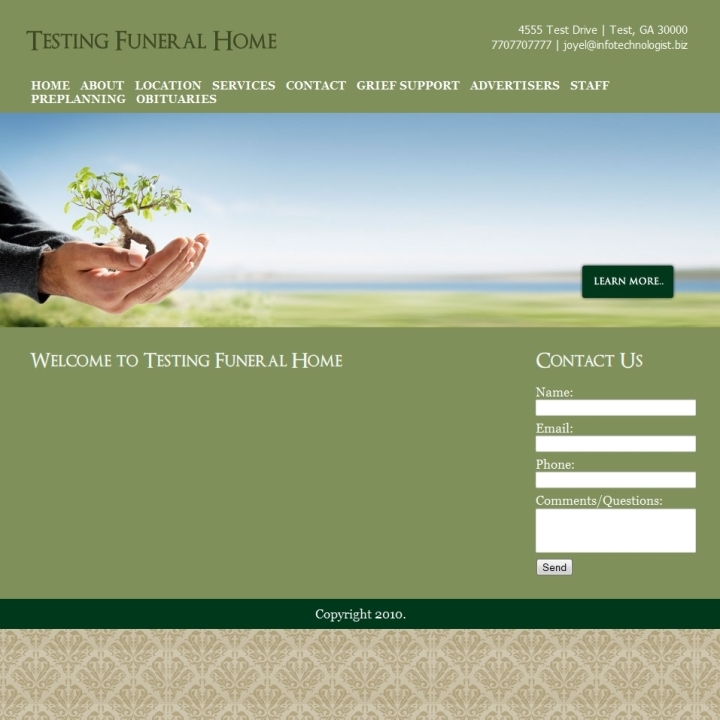 The funeral home accounts come with a Massive Mini-Site for the funeral homes. 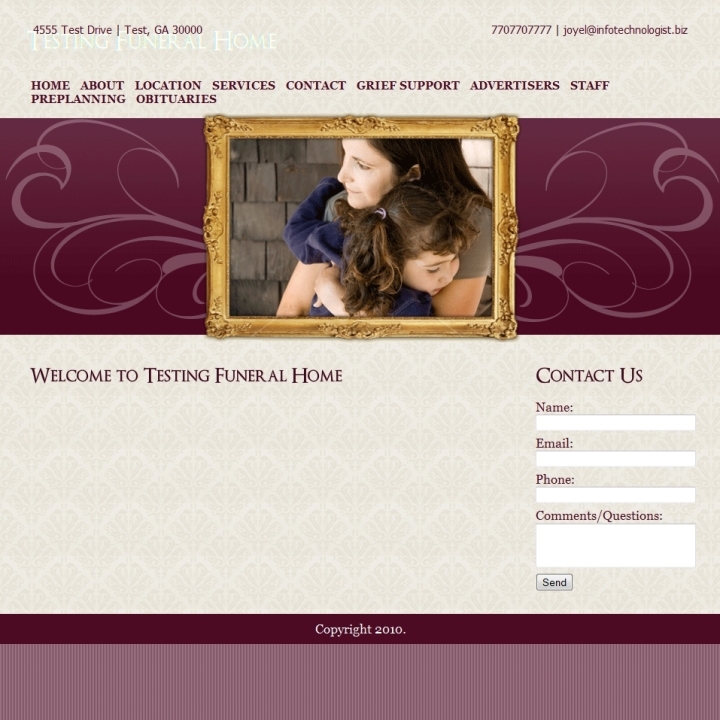 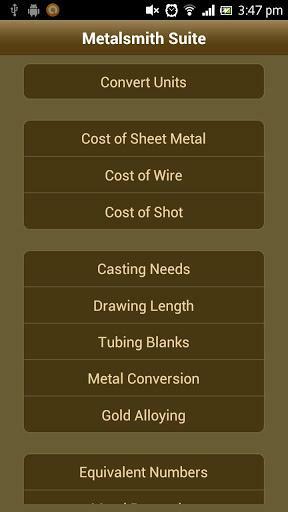 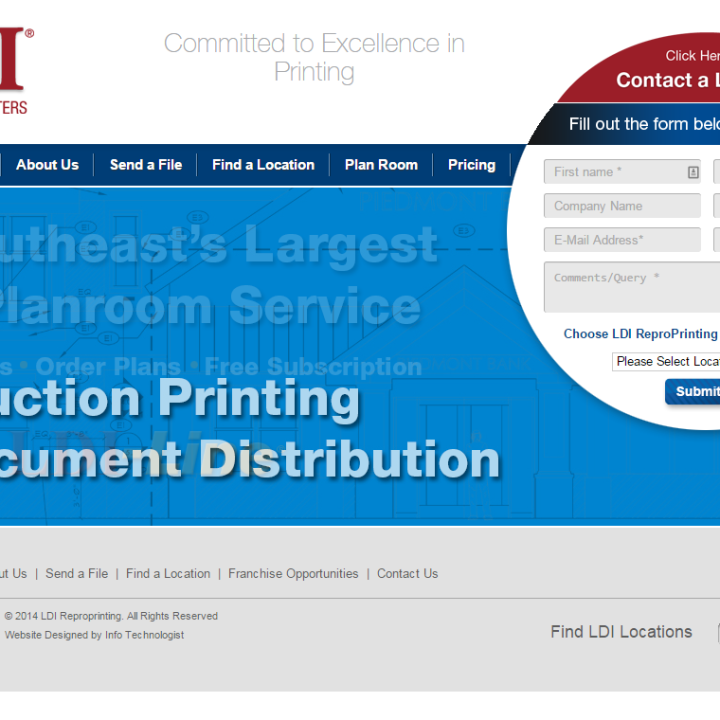 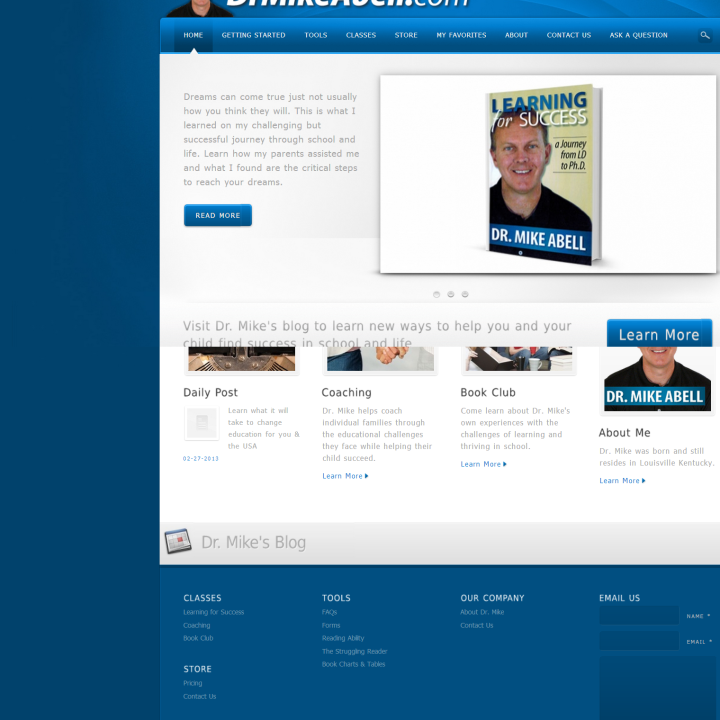 Includes multiple templates to choose from for page design, and a lot of customizing options. 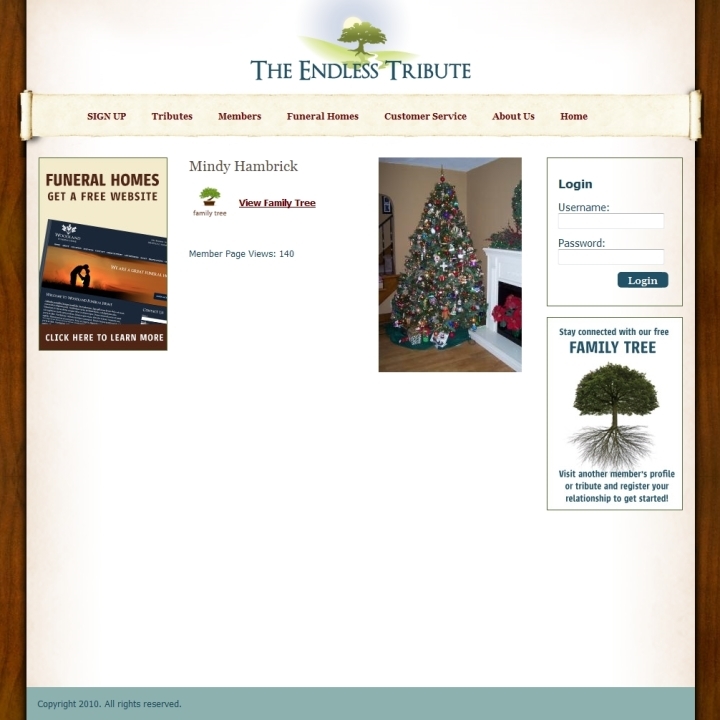 Funeral Homes can edit all of the content pages for their mini-site, as well as hide/show pages at will. 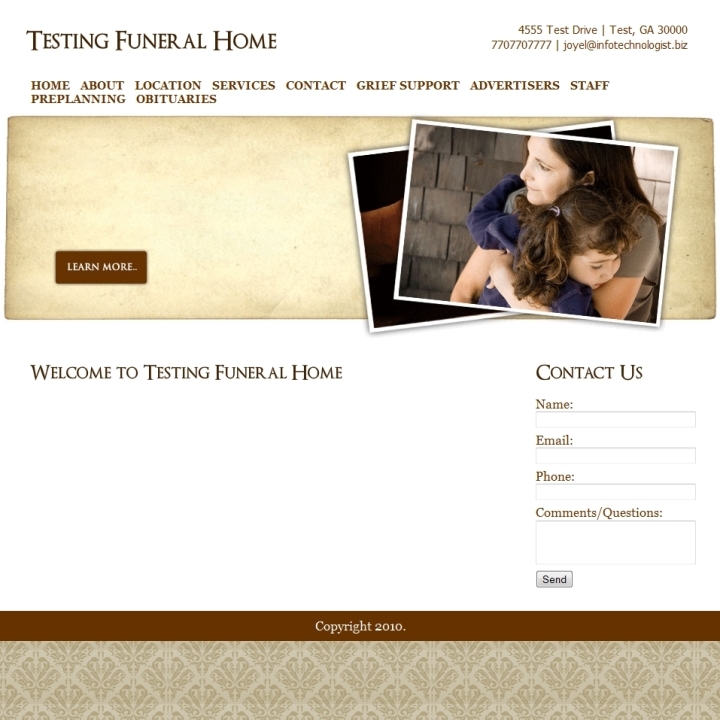 Their data is also displayed in a massive directory listing and data display for the funeral homes. 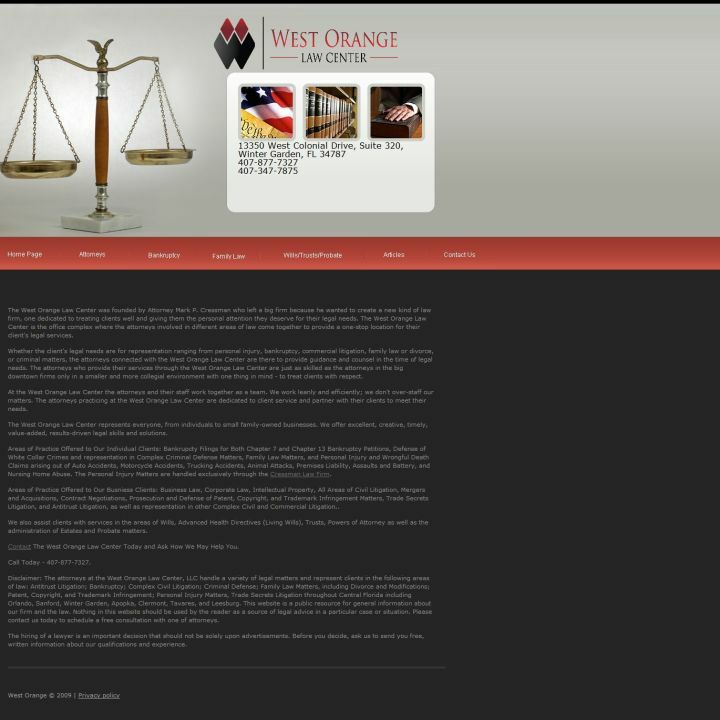 The site also has abilities for standard members to register, login, logout, forgot your password and a variety of other membership features. 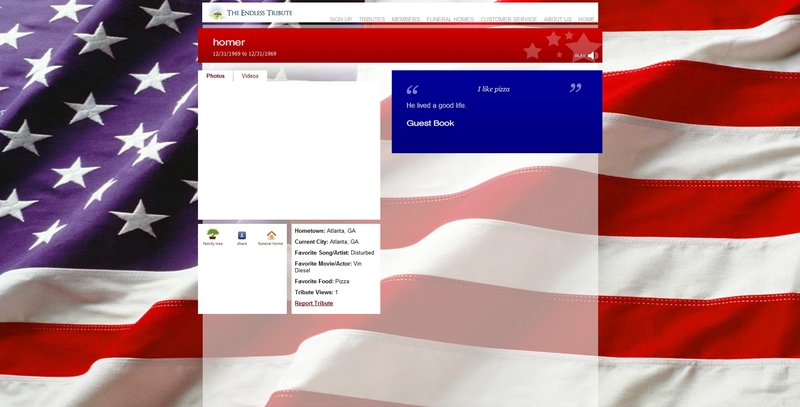 Members can also comment on tributes, post videos/photo’s for tributes, and communicate with users on the site via a built in messaging system. 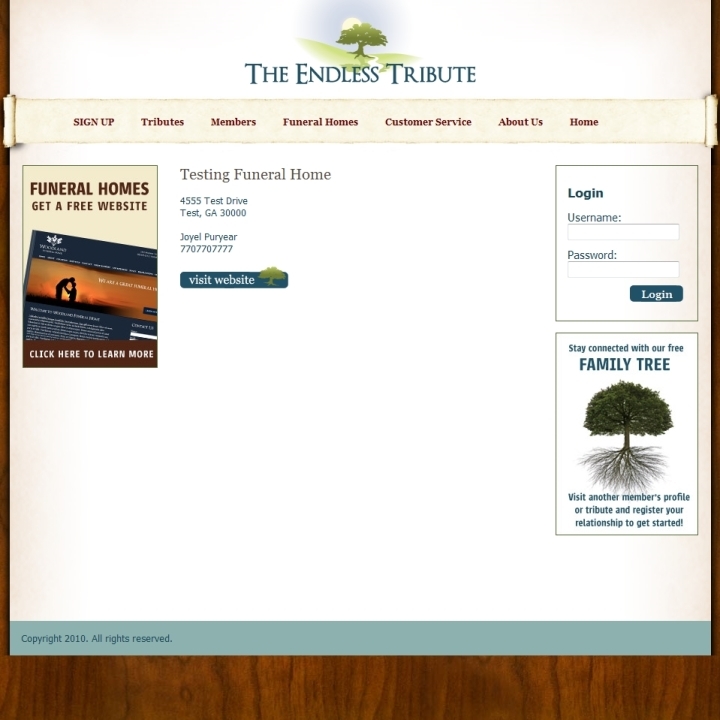 They also have the ability to own “tribute” pages for a specific funeral home. 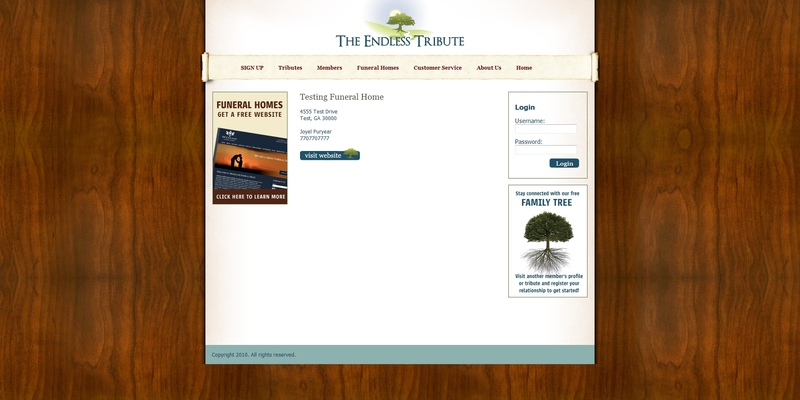 These tribute pages are meant to represent people who have passed away. 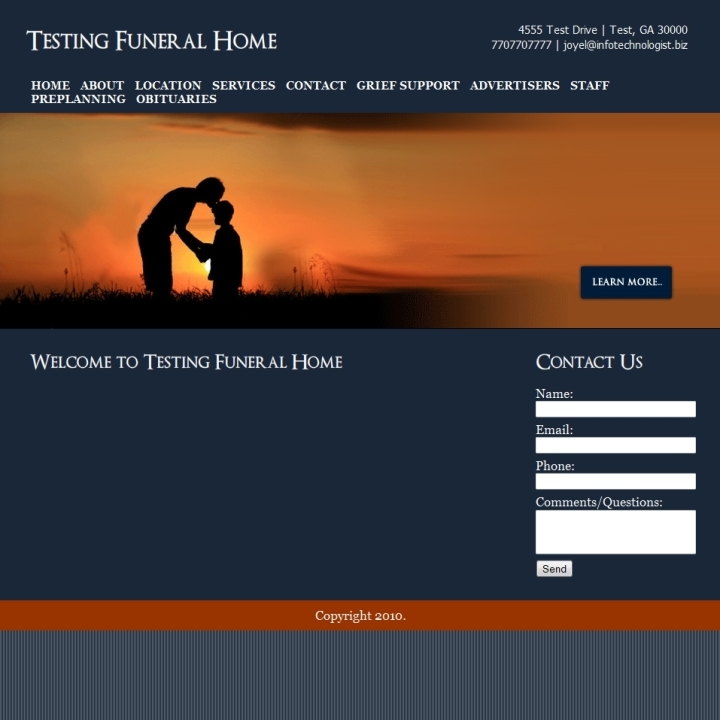 Extensive information is gathered about the deceased person, and the data is available for public or private listing. 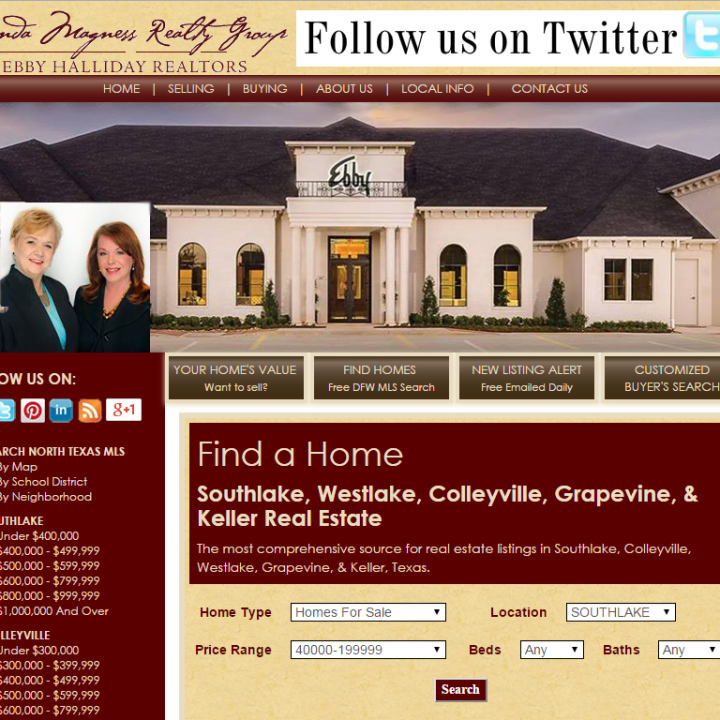 It shows the data in an advanced listing view with good filter/search functionality. 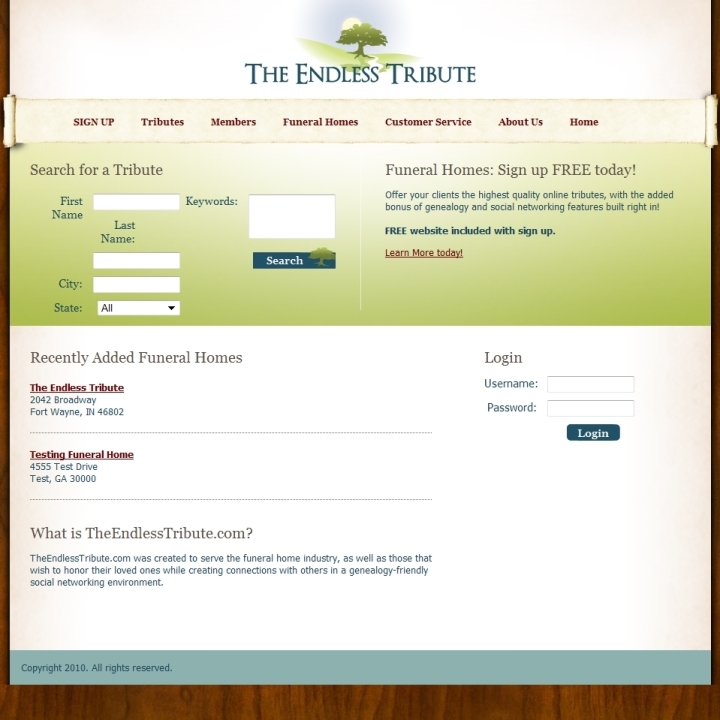 It also has a built in micro-site for the tributes as well with about 12-15 different templates to choose from for the tribute. 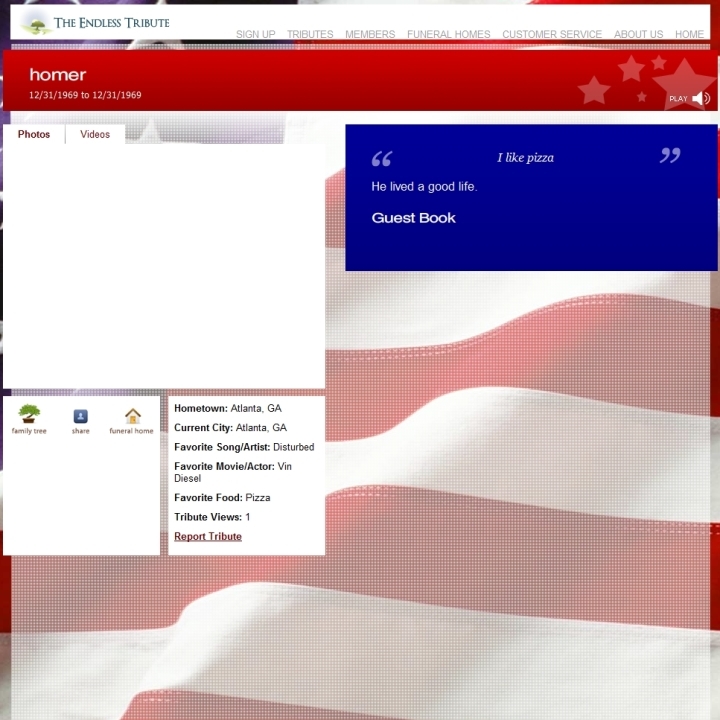 Not to mention they can have background images added, pictures, and video. 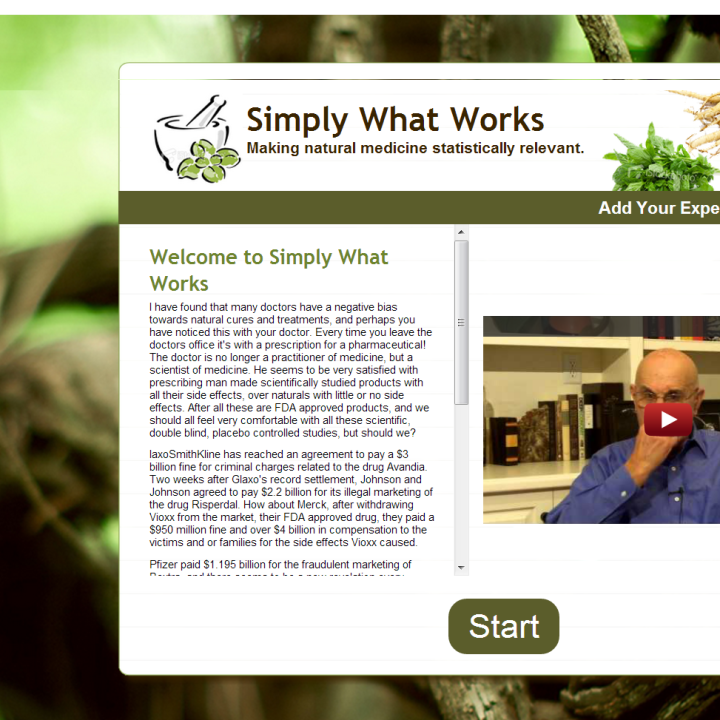 The Pictures are brought together in a nice slideshow display, and the videos are put in a very nicely formatted shadowbox. 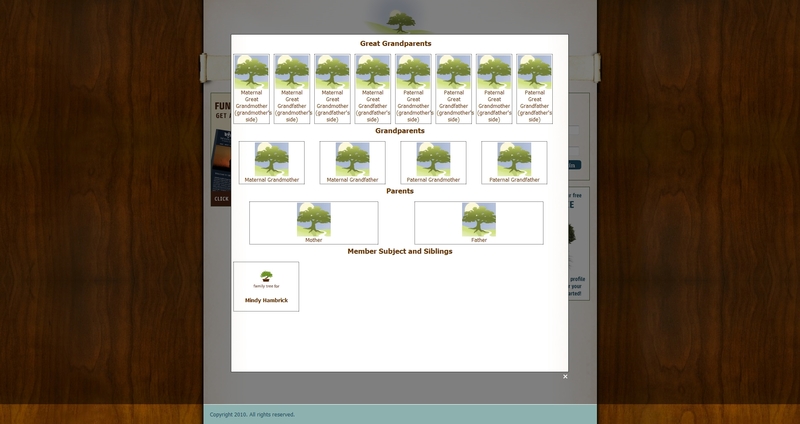 The site also features a built in family tree systems. 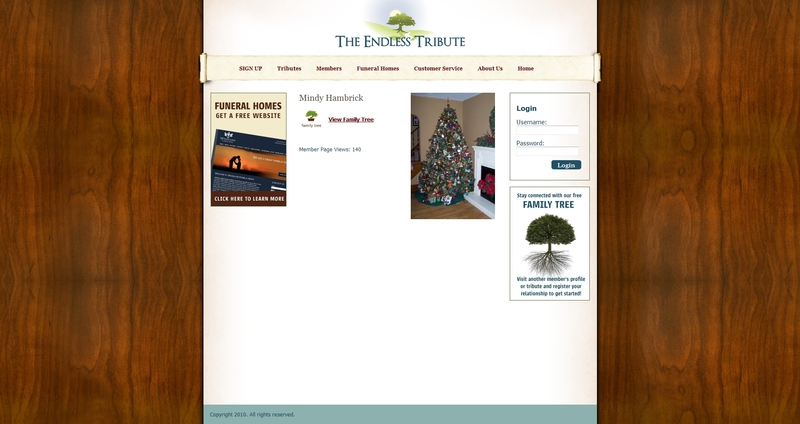 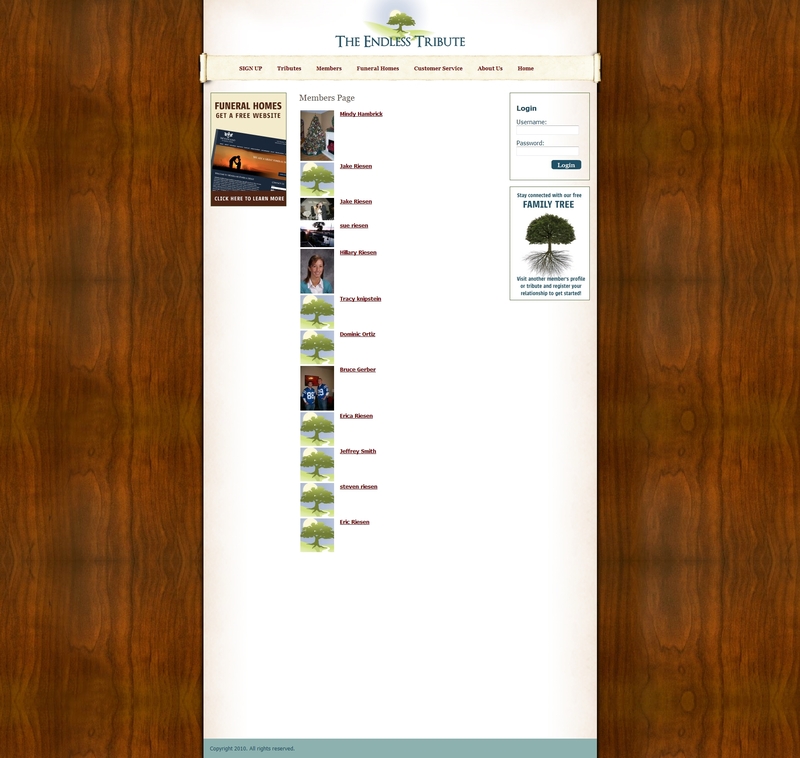 Members can add tributes to their family tree, as well as other members. 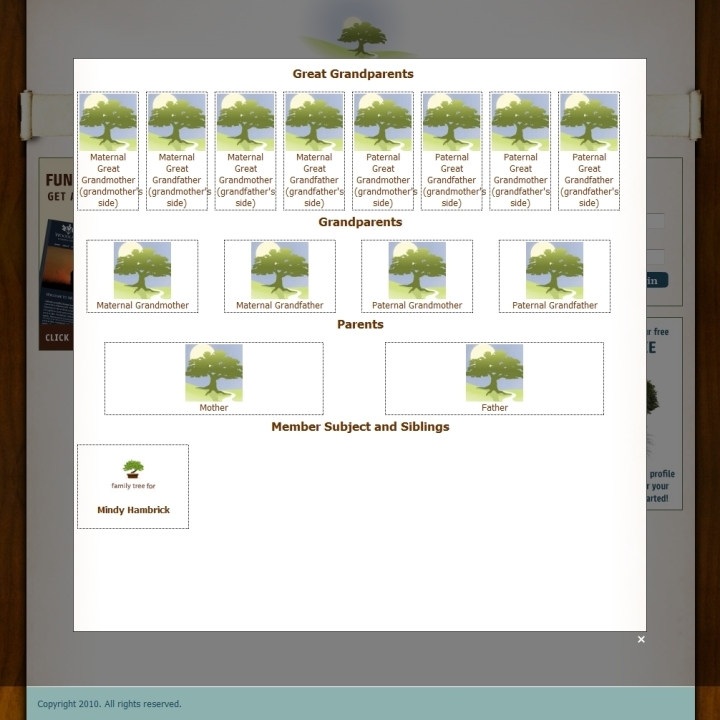 This generates a very nicely formatted family tree view that shows all family members within a given family. 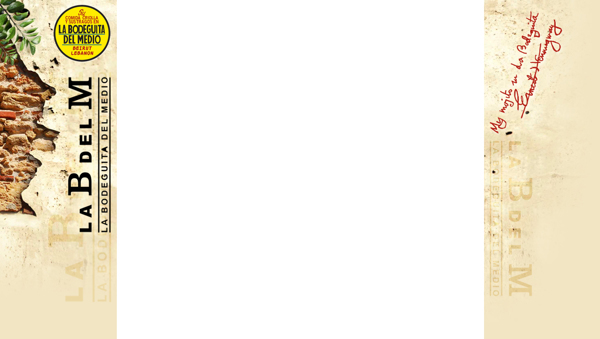 This includes parents, grand parents, great grandparents, nieces, aunts, uncles, spouses, and many more. 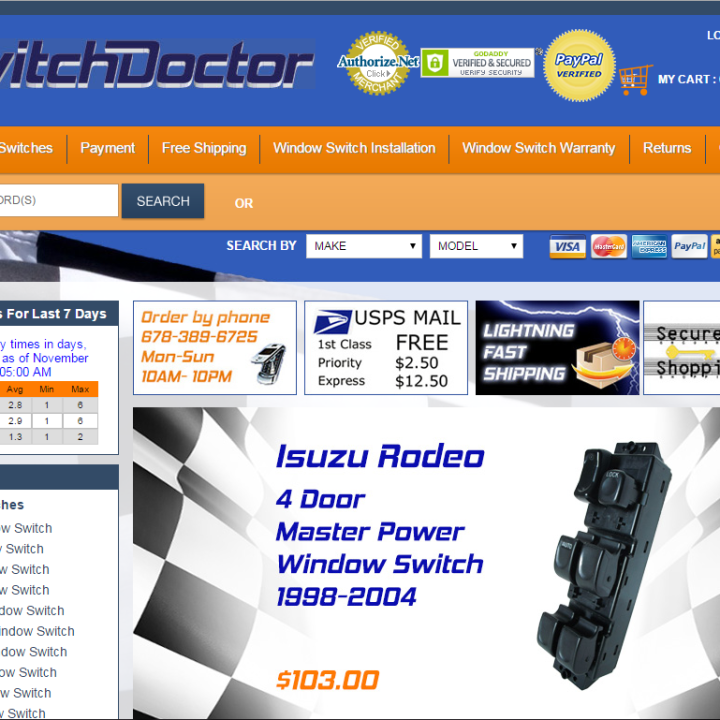 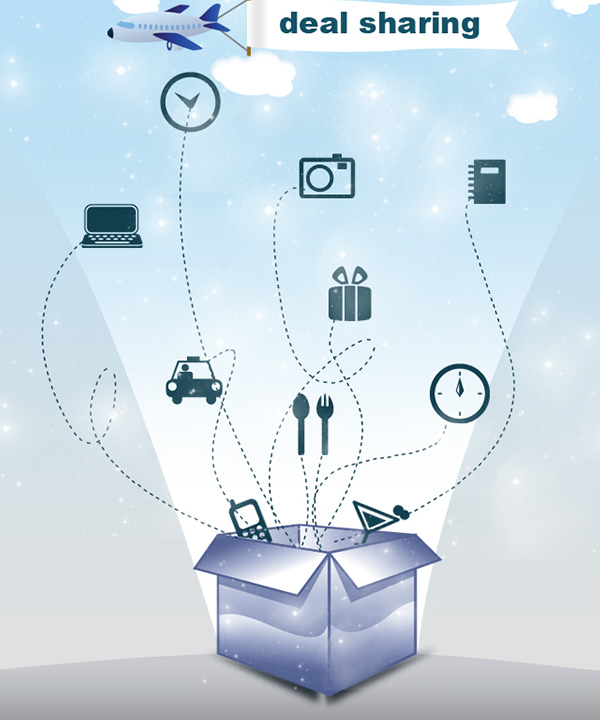 The system was built so that it is very user friendly, and has a lot of complicated components.